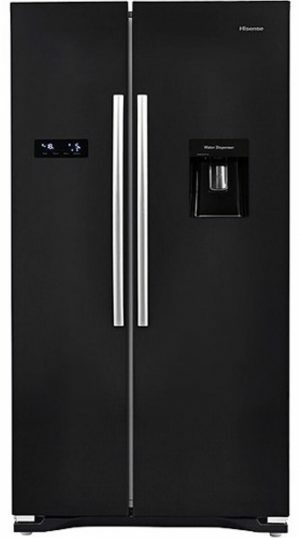 If you’re looking to buy a new American Style Fridge Freezer, check out our wide range, here at Herne Bay Domestics. We stock all the top rated brands, including: Beko, Blomberg, Hisense, Samsung & more. 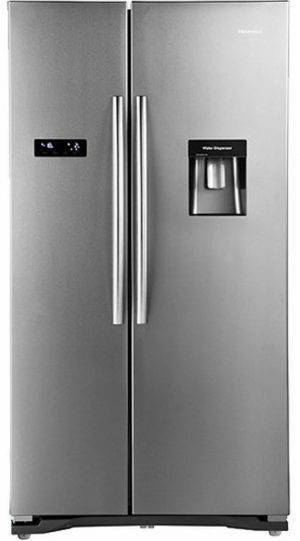 Plus, we also guarantee to be the cheapest seller of American Style Fridge Freezers too, thanks to our price match promise. And what’s more, all of our products come with free delivery within our entire service area, including: Whitstable, Thanet, Broadstairs, Sittingbourne, Sandwich, Ramsgate, Margate, Hoath, Faversham, Canterbury and many more. Third time I've use you and every time has been a great shopping experience, with courteous and professional guidance coupled with a quick delivery service, so much better than the warehouses with their inexperienced commission chasers. You can go to different places for comparing prices. But none of them will do what this company did for me. Really a community spirit and driven to make something work with a fridge/freezer - microwave - cooker - Kettle - hoover and more... They came to help set my place up and were really kind in making sure everything was working okay before leaving. Will never forget it and extremely grateful to the HBD team! Fantastic service!!! Would highly commend... thank you for such great service so close to Christmas!!!! Delivery is 100% FREE on every item on this website. Simply let us know the time of day & date you would like your item(s) to be delivered to your home at the checkout and we will give you a call back to arrange the time best suited to you. We are also happy to give you a call an half hour before your delivery is set to arrive to ensure you don’t miss your delivery, just let us know you’d like this service (it’s free too). Our delivery vans work from 9AM to 5PM, Monday to Saturday. We are well known locally for our exceptional service, but it is important to note that we are also the cheapest too! That is why every single product on this website comes with a price match promise. Meaning that if, by some chance, you can find the same product cheaper on AO, John Lewis, Currys, Argos or any other Euronics dealers website, within 7 days of purchase - we will refund you the difference. We price match our competitors based on their total price for the product (including delivery). The product must be identical to ours. The product must be available to buy online and be delivered within 10 days. We do not price match products purchased on finance. Simply provide us with the website address of the product on our competitors website & your order number and we will refund you the difference. We are an independent, family-run business which we established on the Herne Bay high street in 1984. We’ve built up an amazing reputation through our combination of high-level customer service & care, along with the ability to provide a large stock of domestic appliances at the cheapest price on the market. Our team of delivery drivers and engineers are able to install every single product that we sell and are happy to demonstrate how the appliance works to each customer. We are also one of the only domestic appliance companies that you can call up at any time during our opening hours and speak to a real human about any issue, what so ever. 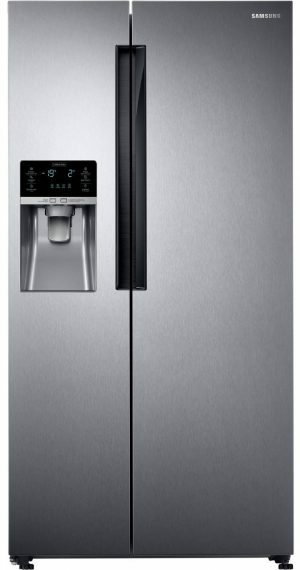 The Samsung RS58K6387SL American Style Fridge Freezer- Stainless Steel is currently out of stock. If you would like to know when we can get this product delivered to you, simply enter your contact details below & we will reply to you shortly.